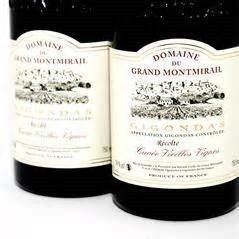 Domaine Du Grand Montmirail-Granache-Syrah-Mourvedre-Gigondas-Recolte-Cuvee Vieilles Vignes-France-14.5% Alcohol-$19.99-A nose of dark fruit and spice, dark garnet in color. A medium to full bodied Rhone blend, with black cherry, plum, currant, soil and spice on finish. Better than last bottle but still young even with decant. WS-87 CR-89 Good with meats, chicken, pasta. Bogle Vineyards-Zinfandel-Old Vine-California-2011-14.8% Alcohol-$11.99-A nose of cherry and some spice, dark garnet in color. A medium bodied Zin, with black cherry, blackberry, sweet vanilla and spice on finish. Better than last bottle, a good value. NR CR-88 Good with ribs, chicken, pasta.